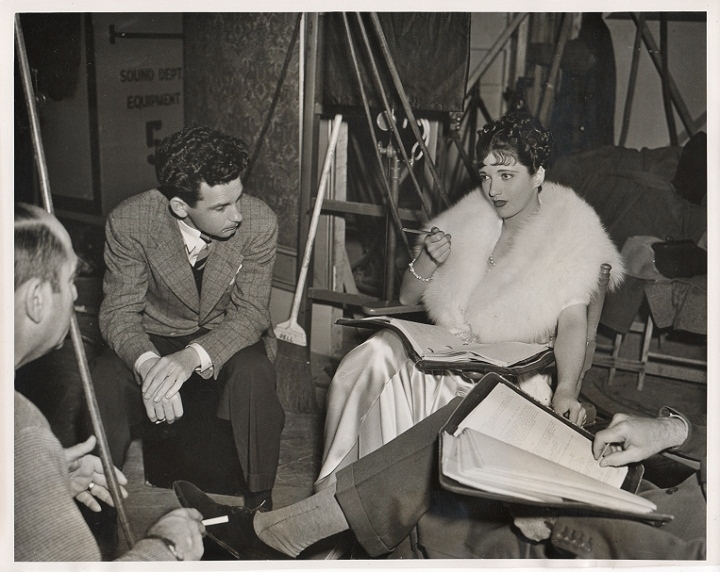 The woman at the center of this production still is probably unrecognizable to all but those dedicated fans of this silent star — and there are a few of us, maybe more than a few since she’s finally received a proper biography. 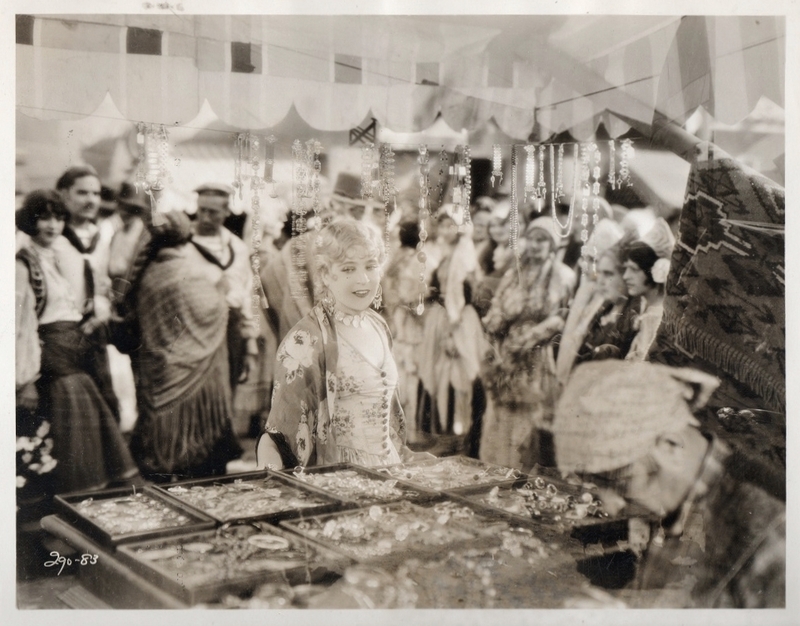 She is the heretofore nearly unknowable diva, Mae Murray. 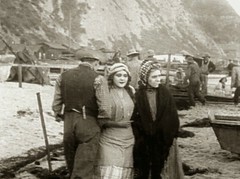 The photo is from Valencia, by Metro-Goldwyn-Mayer in 1926. “Frankly, one of the worst films of the year. No story and bad acting.” Photoplay Magazine, January 1927. 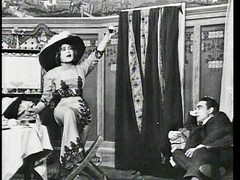 “Mae Murray, Lloyd Hughes and Roy D’Arcy are awfully funny, without trying. Stay home and tell your own jokes.” Photoplay Magazine, April 1927. 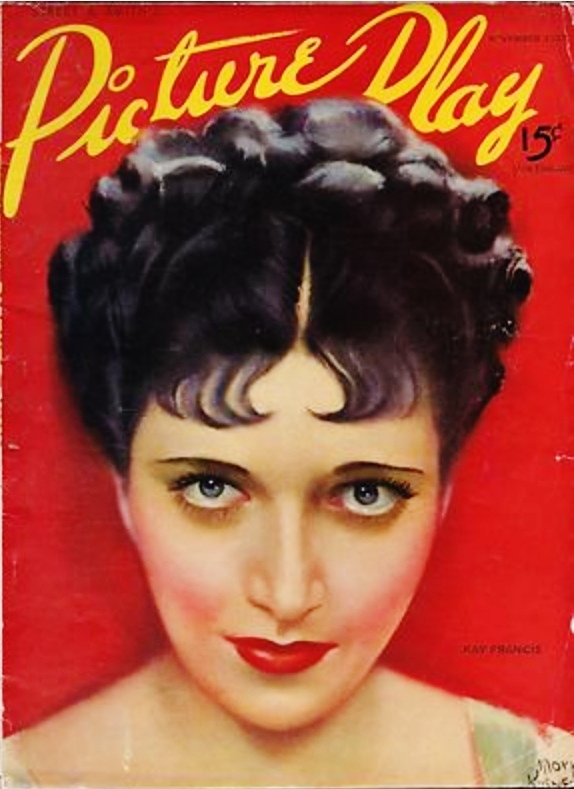 But these withering reviews did nothing to prevent Photoplay from featuring Murray on the cover of their May issue of that year (a cover that consistently attracts higher bids on eBay than most other magazines of the late silent period). 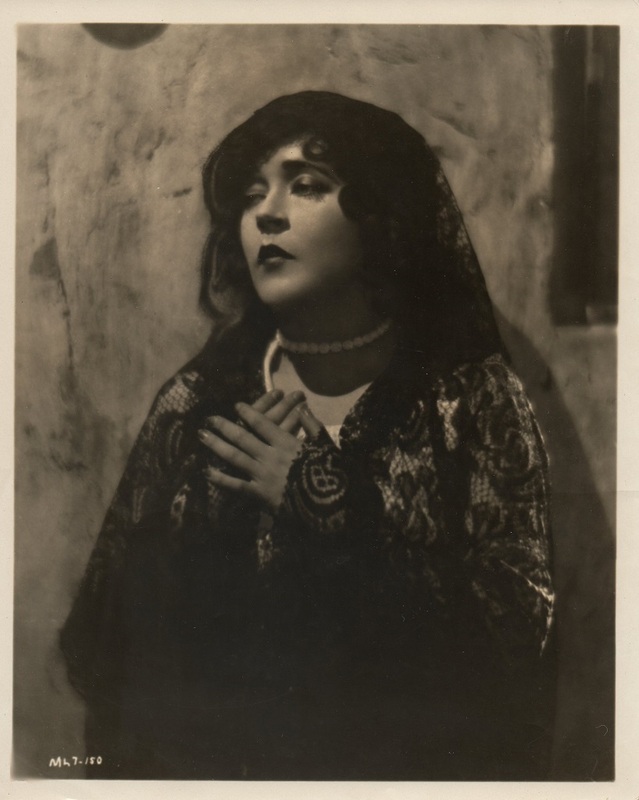 The studio photo reproduced here at top, Valencia production still #290-83, is my favorite image of Mae Murray. Looking positively girlish at age 41, she and the jewels that lay before her are the only elements of the photo that are in focus. They both sparkle. 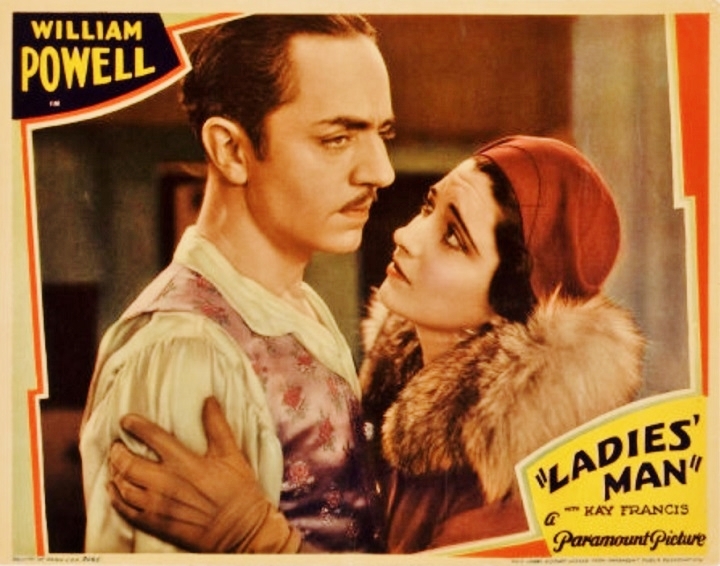 Two of the biggest beneficiaries of the renewed interest in classic Hollywood film, Kay Francis and William Powell were among the most popular stars of the 1930s. 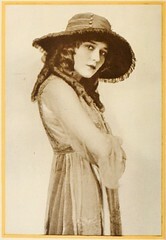 While Powell’s reputation had survived largely through his partnership with Myrna Loy in MGM’s Thin Man series, Francis was virtually forgotten until her films — primarily her Warner Brothers output — were broadcast by Turner Classic Movies in the late 90’s and early 2000’s. William Powell was popular for more than three decades — in the 1920s in silent film, in the early sound period, throughout the 1930s, and well into the 40s until his retirement in the 50s. Unlike most stars of the golden age of Hollywood, Powell wasn’t trapped in a particular persona (which of course may be one reason he was long overlooked by later generations of viewers — like me — who came to idolize Bogart, Cagney and Davis). One is hard-pressed to think of another major star who portrayed such a wide variety of featured roles: villains, romantic leads and mature father-figures. And while we tend to think of the “anti-hero” as a product of the 1960s and 70s, Powell played such roles frequently — particularly in the pre-code, early sound period. 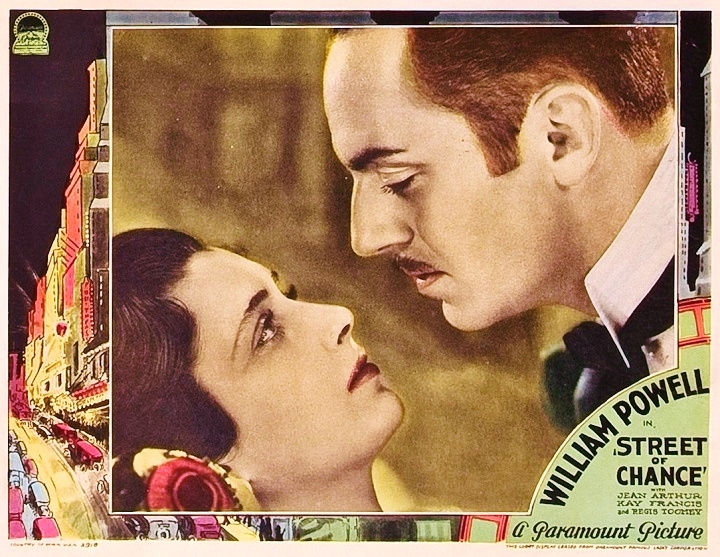 One of those roles — possibly the best of them — was his condemned criminal Dan, who falls in love with Kay Francis’ terminally ill socialite, Joan, in Tay Garnett’s 67 minute masterpiece of melodrama, One Way Passage, from Warner Brothers in 1932. 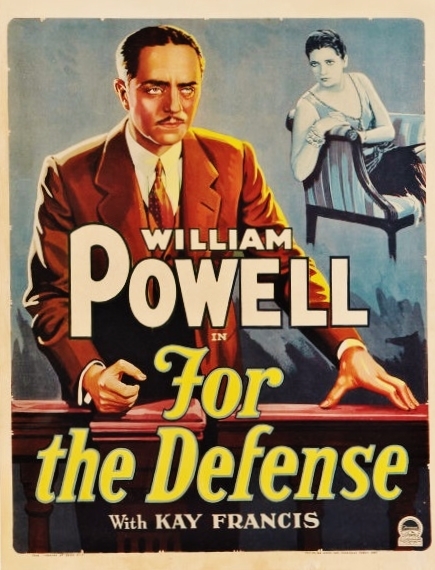 From an early 21st century vantage point, it is Powell’s partnership with Kay Francis, rather than Myrna Loy, that truly impresses the viewer. 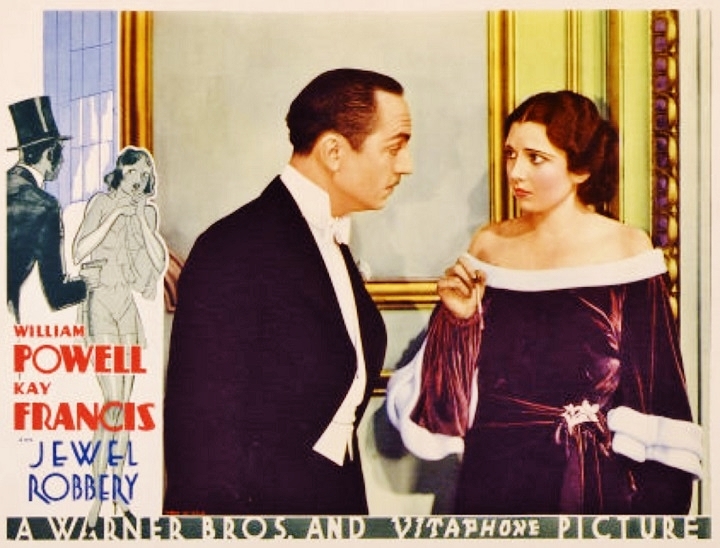 In six films, three each for Paramount and Warner Brothers, all made during the pre-code era, Powell and Francis were a romantic team without peer. Below, in production still #OP-53 from One Way Passage, Francis and Powell appear on what seems a partial set, with studio detritus in the background. In reality it was the set for the dock scene where the two lovers disembark for a brief island idyll. 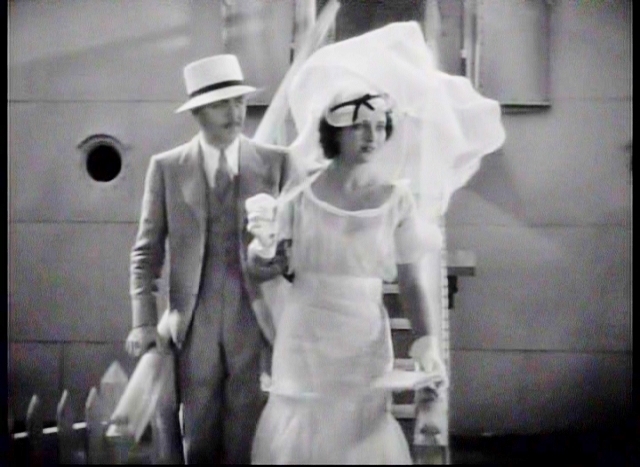 Below, still frames from One Way Passage show that the set was used for two shots, facing the dock, then the couple leaving the ship, but this time with the partial façade of the interior and exterior of the ship completing the set. 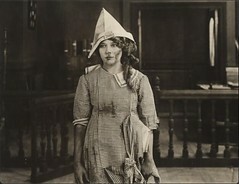 The darker side of Mae Murray, as she appeared in multiple roles in Mademoiselle Midnight (Metro-Goldwyn, 1924, directed by Robert Z. Leonard). 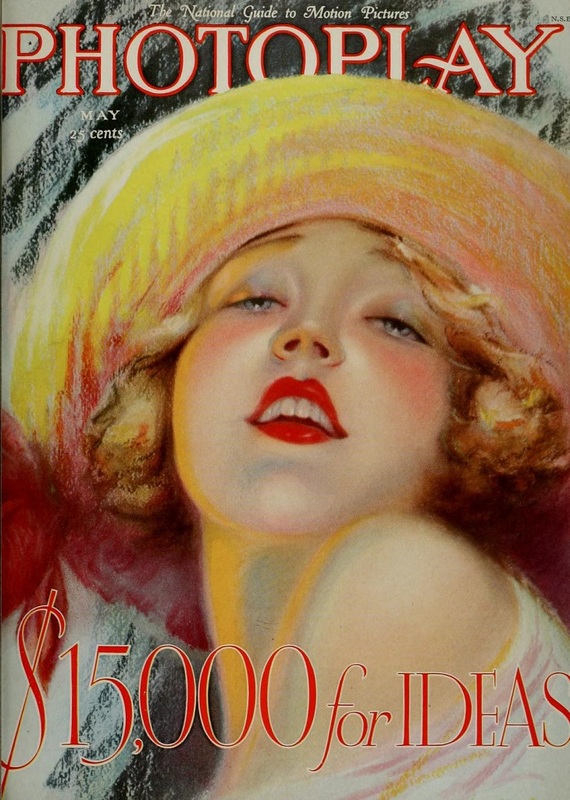 Photoplay Magazine once summarized the typical Mae Murray picture as containing the three “L’s” — Legs, Lingerie and Lure. 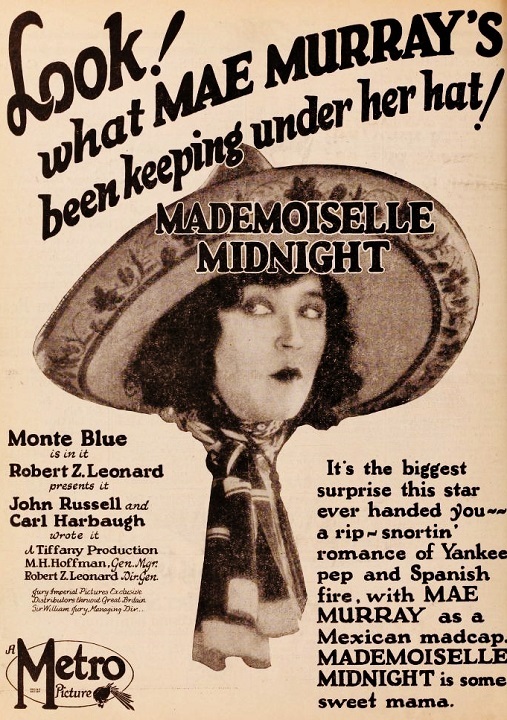 In Mademoiselle Midnight, Murray wasn’t about to change the formula that appealed to her fans, but she wanted to experiment just a bit with the noir exoticism of Pola Negri who was currently burning up the screen as a Latina or Gypsy vampire in films like Bella Donna, The Cheat and The Spanish Dancer for Paramount, the first two written by Murray’s old friend and associate Ouida Bergere and directed by George Fitzmaurice. 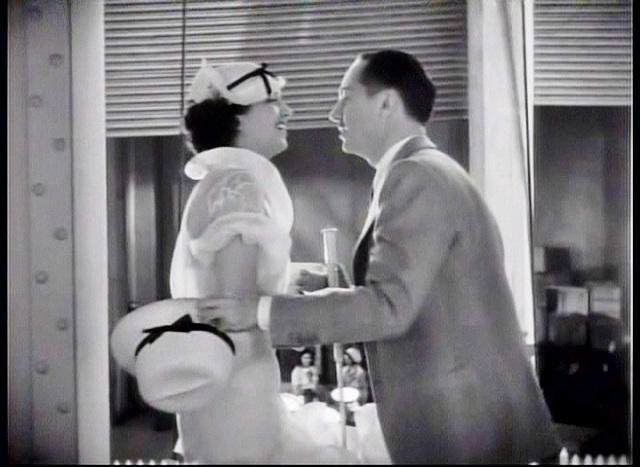 Bergere and Fitzmaurice had worked with Murray on two of her better mid-career films, Idols of Clay and On With The Dance almost five years earlier. 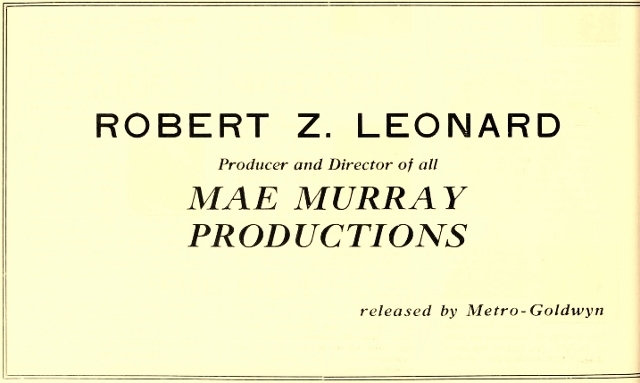 Mademoiselle Midnight was the first film Murray distributed through the newly merged Metro-Goldwyn company, just prior to the inclusion of Louis B. Mayer, and was one of the final two she made with her director-producer husband Robert Z. Leonard before their personal and professional split. Not such a bad deal for Leonard. Murray had gotten him hired by the new corporation as a condition of her participation as their first mega-star. His film career would outlast that of his soon-to-be ex-wife’s by about three decades. 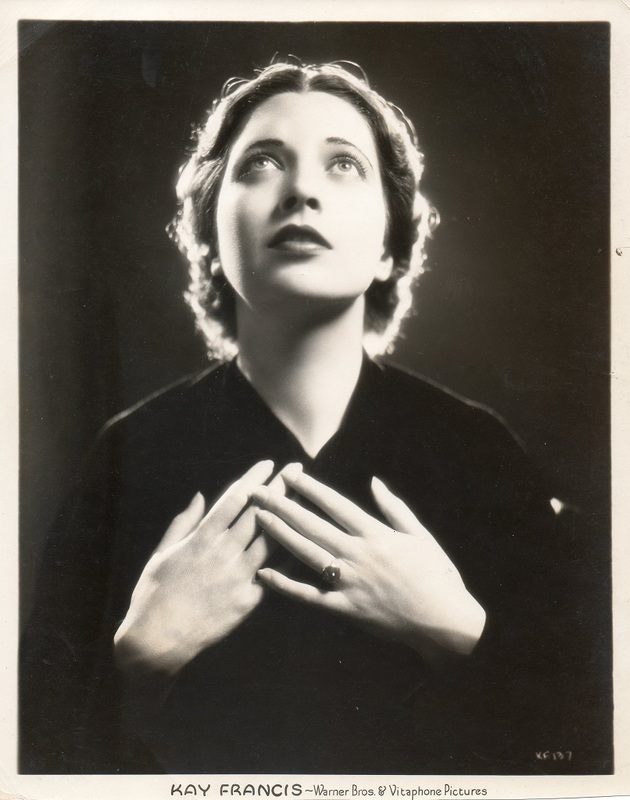 The dark pose may be similar to that of Mae Murray in Mademoiselle Midnight, (it is also eerily similar to Kay’s own 1925 U. S. Passport photo), but the picture is a Kay Francis publicity portrait preceding her major mid-thirties project, the Florence Nightingale biopic, The White Angel (WB, 1936, directed by William Dieterle). 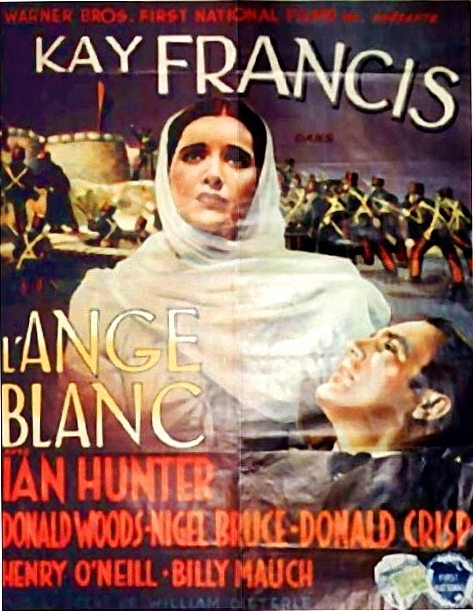 The film was a critical and box-office disappointment and, from its failure, some suggest this film was the beginning of the decline in quality of films Francis was dealt by Warner Brothers, leading to the decline in her career. But in reality, Francis made a series of good if not great films for the WB over the next two years, including Confession (1937, dir. Joe May). 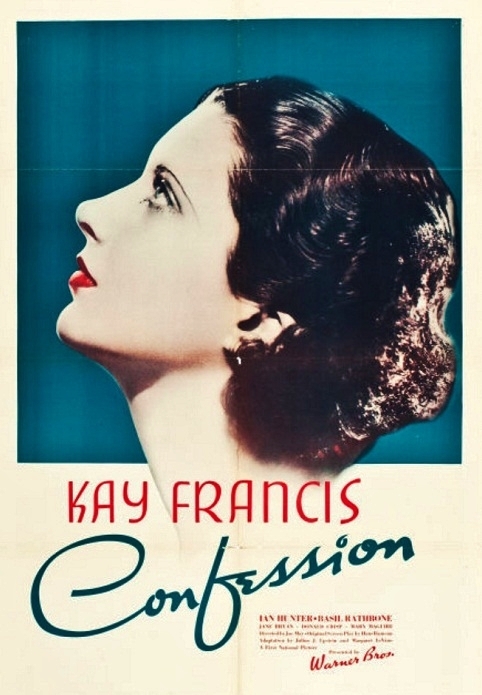 The quasi-religious pose seen above contrasts sharply with the shot, below, of Kay Francis in a candid moment at the studio, between scenes during the filming of Confession in 1937. 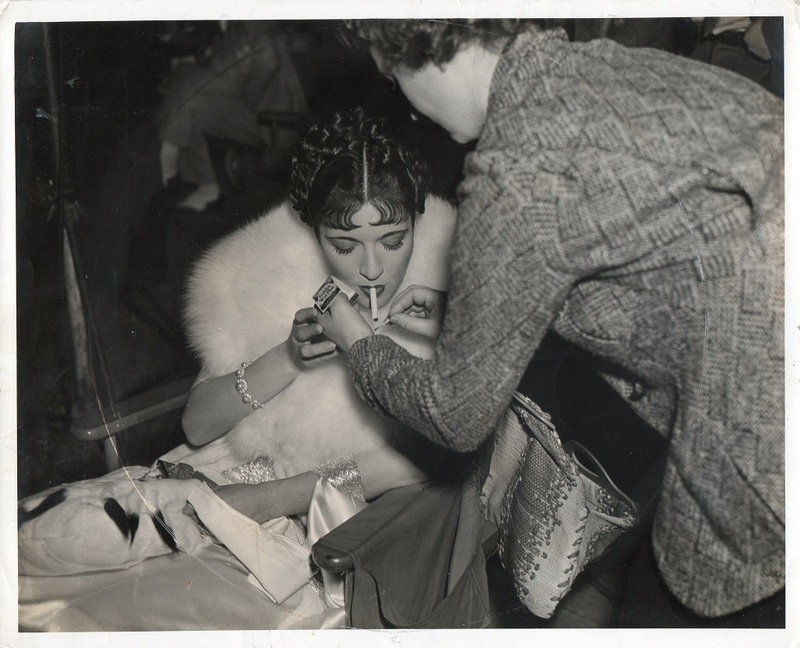 The elaborate hair, makeup, fingernails and furs she wore for the grand ball sequence of the film apparently required an assistant to carefully light her cigarette during a break in shooting. Above, my second-favorite shot of Mae Murray, again from Valencia, in a beautifully lit and photographed production still, #290-61. 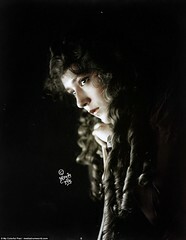 Ironically, one of the complaints noted in reviews of Valencia was that Murray was “poorly photographed” in the film. 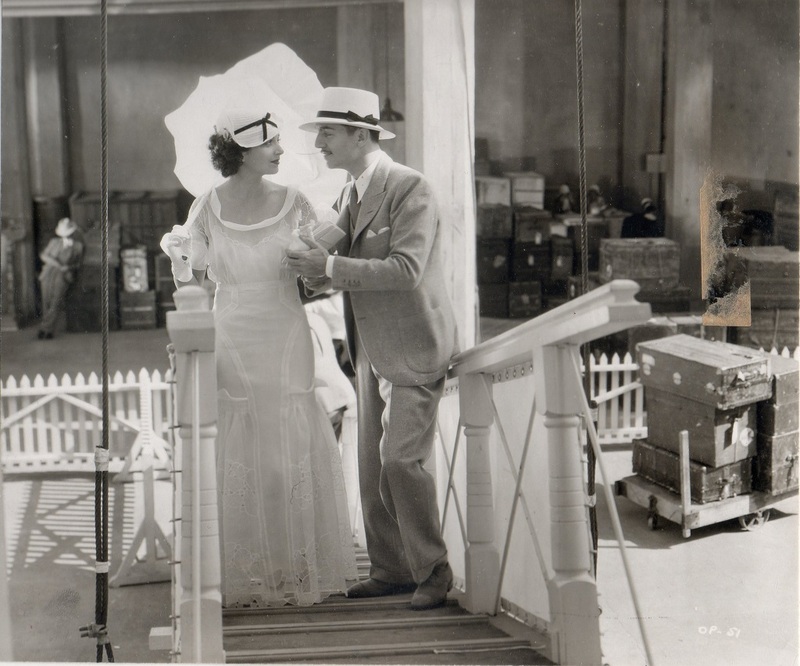 Not having seen the movie, which survives among many other silent films from MGM, I can only state with some assurance that the production stills are definitely not poor by any means.